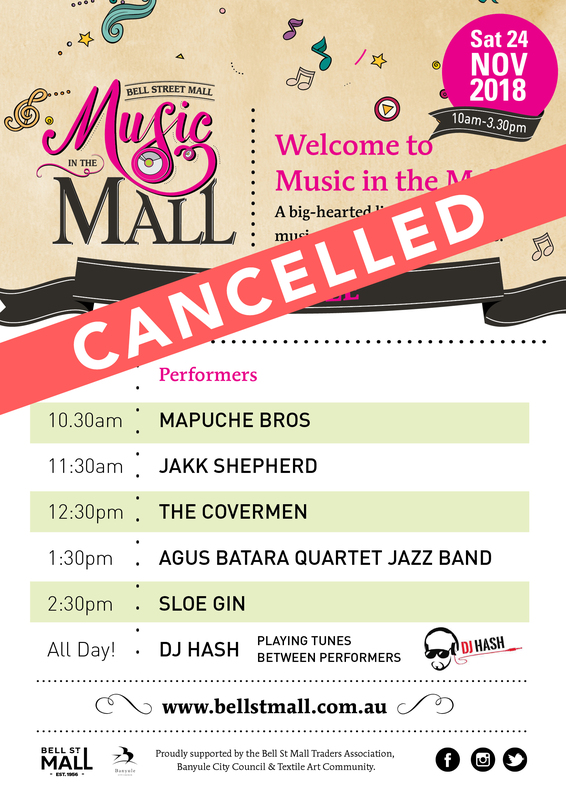 Due to weather and safety concerns the Music in the Mall with Bell St Mall Markets Saturdayz event will not take place this Saturday and is postponed until 2019. Free Event, No Bookings Required! 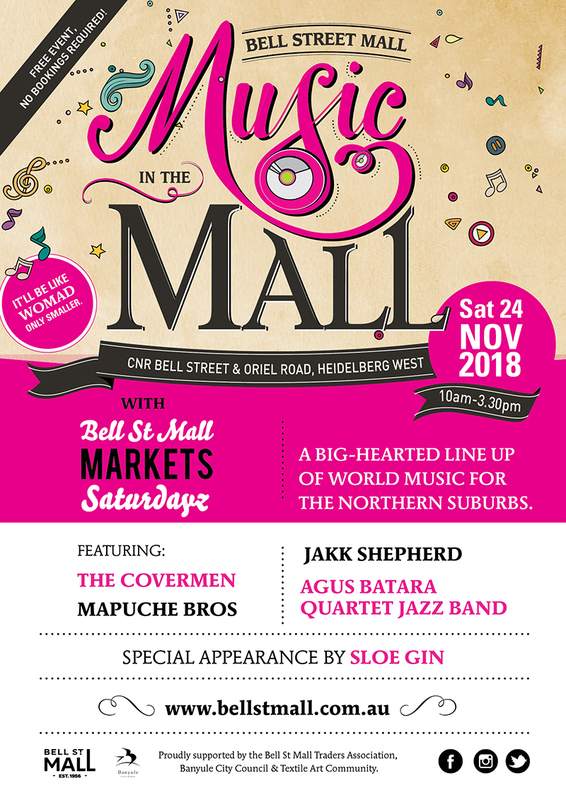 A big-hearted line up of world music for the Northern Suburbs. Proudly supported by the Bell St Mall Traders Association, Banyule City Council & Textile Art Community.